Many people believe their only option for pain relief is found in the form of potentially harmful NSAID’s such as Ibuprofen, Tylenol, Aleve, Celebrex, and Advil (to name a few). Most of us probably start out with the recommended amount, but when it does not seem to support, popping a few more is common practice. So common, in fact, that the FDA has ramped up its warnings about the risk of these drugs and their role in causing heart attacks and strokes. These drugs have some serious side effects, and it is estimated that they cause at least 16,000 deaths per year and send 100,000 people to the emergency room in the United States. The FDA cautions us to never take more than the recommended amount of non-steriodal anti-inflammatory drugs (NSAIDs). They also caution that no one should ever take two NSAIDs at the same time with the same active ingredients. The FDA is now requiring manufacturers of prescription NSAIDs to update their labels with more accurate information about heart attack and stroke risks. The most common problems these drugs cause are digestive ulcers and associated bleeding. Studies have also shown increased risk of other conditions, including atrial fibrillation, where the heart beats rapidly and becomes weak, kidney damage, and delayed healing of fractures and soft tissue injuries. Newer evidence, which led to these stronger warnings from the FDA, shows that even taking the drugs at their recommended doses for a short period of time can have serious side effects. These drugs do not sound like much of a solution anymore, do they? If only there were a way to treat aches and pains naturally, without all of the dangerous health risks associated with drugs. Here’s the good news: there is a much better, safer and more natural way to help relieve pain and inflammation, and you may already have it in your home: Turmeric, a very popular Indian spice. It is famous for giving some nice yellow look to food and it is often very cheap to acquire and generally feels tasteless. An important fact that often escapes the popular glare is the fact that turmeric is actually one of nature’s silver bullets in combating inflammation. This spice has been reported to treat close to 20 different diseases. Topping this list are inflammatory diseases like arthritis, sciatica, tendonitis and autoimmune disorders. This has been because this spice has in the past been identified worldwide as a great antioxidant and one of the best anti-inflammatory nutrients that can help to reverse cardiovascular disorders, balance cholesterol and heal depression and stress and even reverse type II diabetes. The popular inflammatory disorders are characterized by voluminous accumulation of immunity cells like the T-cells and microphages. This act often promotes autoimmunity. In such a case, the body’s immunity works to destroy the body itself . Turmeric has been identified to contain certain components known as curcominoids. These elements block the production of inflammatory mediators. This is done through suppressing a protein nuclear factor known as protein-kappaB, which as a result stops the enzymes that catalyze the production of inflammatory pathways, thus retaining the immune cells intact. According to scientific research, turmeric has just about 1523 inflammatory factors . In addition, this spice is also a source of iron, manganese, fibre, potassium and vitamin B6. 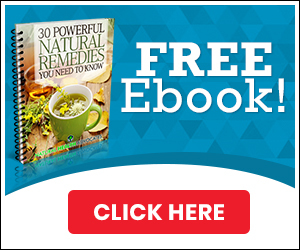 This makes it the world’s top most recommended natural remedy for inflammatory conditions. Studies are also showing that with regards to potency, turmeric triumphs over NSAIDS (minus all of NSAIDS side-effects!). Not all forms of turmeric are created equal. So if you want to see actual benefit from turmeric and observe dramatic improvements in your inflammation and pain, you need to be sure you are taking a highly bioavailable one. Next Next post: Ketogenic Diets – What are they? I’m using Purathrive and I must say that it works much better than other bottles of turmeric liquid, better than most capsules, and as good as the best non-liposomal formulas. Does not require much of this extract to equal a big pill, and unlike most formulas, have not had any digestive issues. I have Lyme complex disease, which includes symptoms similar to extreme burning and sharp pains around or near joints, like fibromyalgia. So far, only the best Turmeric formulas have helped with the pain-no pain reliever nor any medication helps. I also have very severe diabetes, and although I cannot credit the turmeric, while taking it my blood sugar has improved. My PSA score has improved, but I cannot say whether or to what extent the turmeric is responsible. It could be that some of he other things I do also play a part in that. Don’t bother with dropper bottles non-liposomic extracts of turmeric– they cause digestive upsets and are not well absorbed. Cost seems high at first, but the bottle lasts a long time and it does work. Where is Purathrive available ? You can mix your own tumeric (uncut) and add black pepper as a catalyst. Info on the web. It has helped me with sciatic pain quite noticeably. Of course there are other dietary exclusions that lessen inflammation, such as sugar and wheat and additives; with all those out of your diet you’ll feel years younger in a few weeks.